Product prices and availability are accurate as of 2019-04-14 18:37:08 EDT and are subject to change. Any price and availability information displayed on http://www.amazon.com/ at the time of purchase will apply to the purchase of this product. 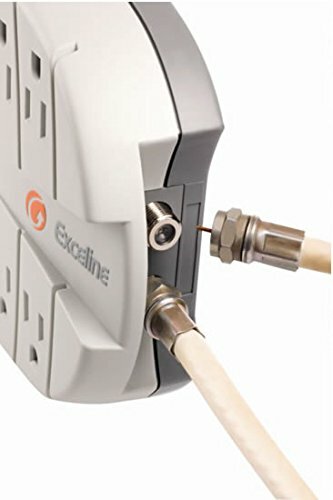 The most professional and reliable protection with Coaxial Protection for your LED, LCD, Plasma Tv's, Audio Equipment, Cable, Video Game Consoles, DVD Blu-Ray, Computers, Printers, Cable And Satellite Equipment and also with Noise Filter. 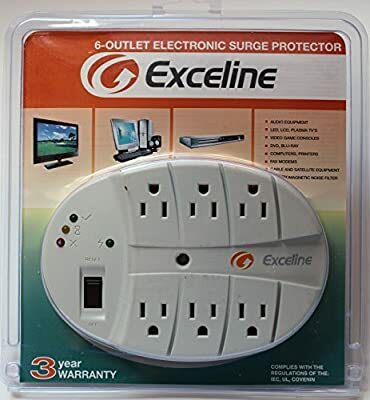 Designed to prevent the damage caused by changes to and/or disturbance of the electrical supply; automatically protects your equipment against blackouts, low voltage and excessive voltage; initiates a standby cycle before reconnecting the equipment. Light indicators shows the status of the power supply.